Welcome to Saba’s Bistro! Saba’s is Maumee, Ohio’s premier restaurant, located within the Holiday Inn. Our menu is built to satisfy your food cravings. 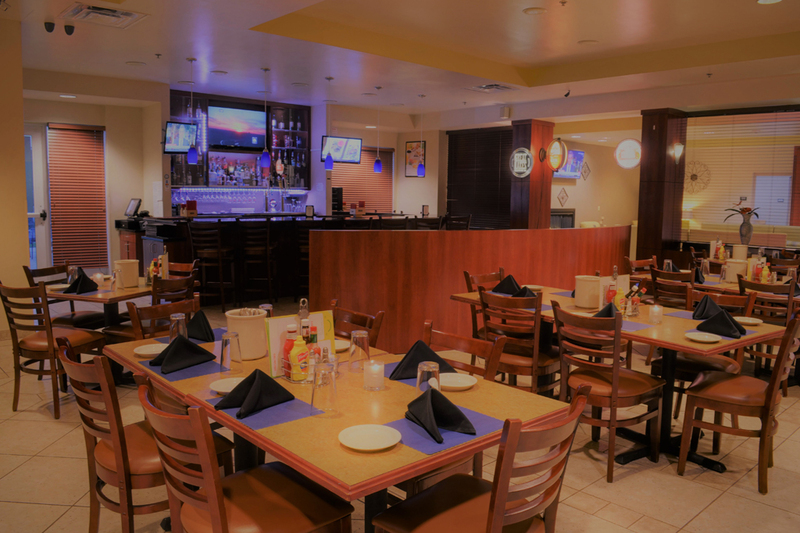 From fine dining choices such as Veal Piccata, the owner’s favorite New York Strip, to house favorites, which include, pizza, burgers, sandwiches, nachos, and more, there’s something for everyone at Saba’s! In addition to our hand-crafted food menu, you can also kick back and relax at our bar, book our event room, or have our food brought to you through our catering service. Saba’s is just a short drive from Toledo and it’s additional surrounding suburbs. Whether you’re one of our locals, or are looking for a good bite to eat in a dynamic atmosphere, Saba’s is the perfect choice year round. Saba’s Bistro has fine dining that’s perfect for your next anniversary, wedding proposal, business meeting, family get together, or for anytime you want a delicious bite to eat! Not only will you experience a great atmosphere and the best food in town, but your fine dining experience will be heightened by the level of service that our wait staff provide to each and every guest. A few selections from our fine dining menu include the Porterhouse Steak, the Bistro 1705 steak and Pork Medallions ala Saba. We also have “fresh off the pier” seafood selections, a few of which include Jumbo Deep Fried Frog Legs, Grilled Salmon Fillet, and the famous Lake Erie Walleye Fillet. We also have a fine selection of pastas and other dishes that your tastebuds will want time and time again. Have a family reunion, class reunion, bridal shower, baby shower, or other special event coming up that you need space and food for? Saba’s Bistro also provides event hosting services that combine the best of both worlds – our famous food, combined with a great event space to accommodate your friends and family for whatever the occasion may be! With Saba’s event hosting, you can simply sit back and enjoy the event while our staff preps and prepares the food and the space. 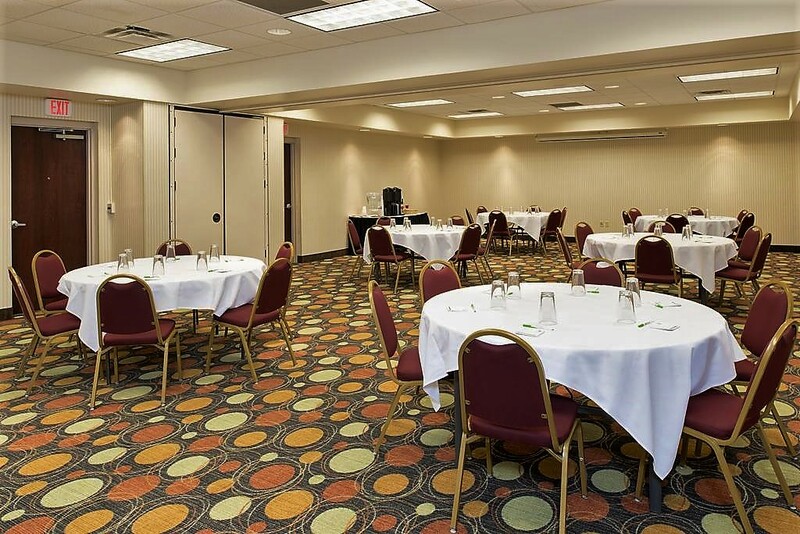 Another perk of hosting your event with us is that since we’re located within the Holiday Inn in Maumee, your guests can stay at the same place that you’re hosting your event making it even more relaxing and convenient. 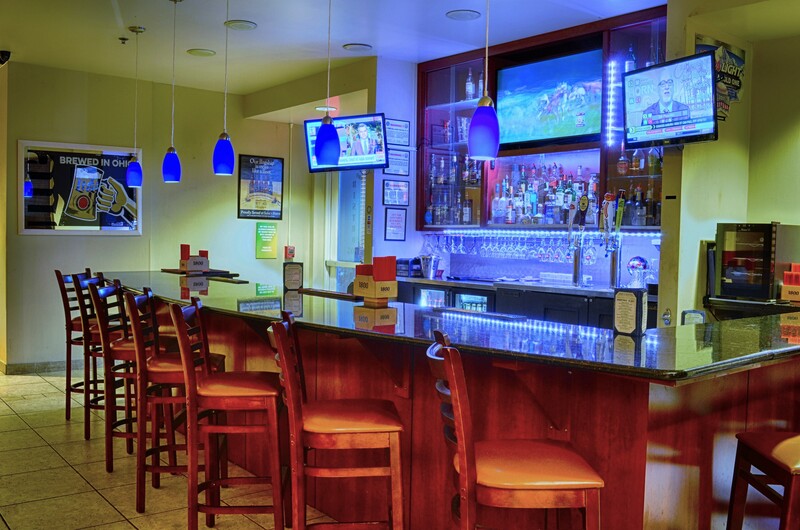 Whether you’re in town on business, are getting together with a few friends, or just need to unwind after work, Saba’s Bar provides the atmosphere, friendly bar staff and handcrafted beverages. From our beer selection on tap to perfectly mixed drinks and cocktails, you’ll find that Saba’s bar is the perfect place to relax. Stop on in and have a seat, or join us at the bar after you’ve dined on our selection of perfectly prepared food in our restaurant. Absolutely one of the best steaks around. Everything on the menu we have tried was delicious. We have been going there for years. Great atmosphere, servers and bartenders. A must try. Guarantee you will love it. Our Chef has a passion for cooking, and that passion can be tasted in every entree we serve.